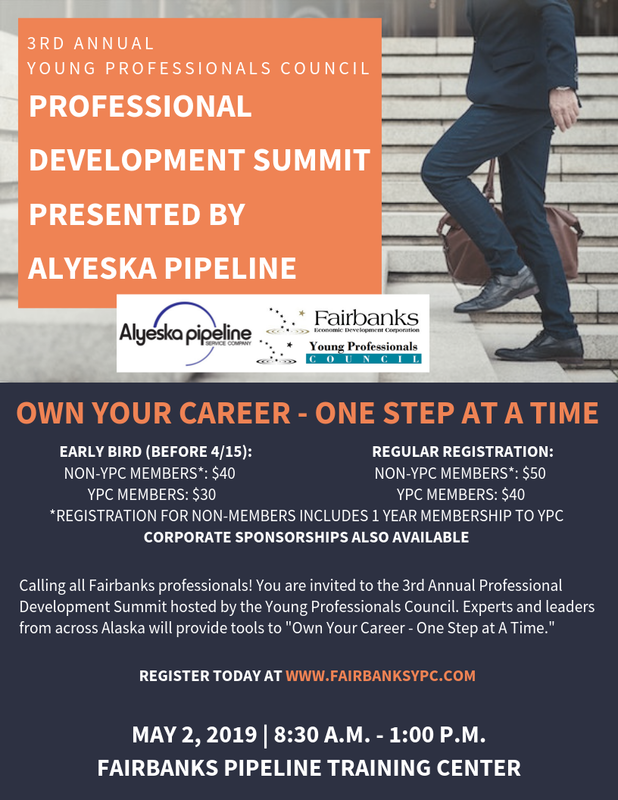 All Fairbanks professionals are invited to this fast paced, professional development event hosted by the Young Professionals Council. 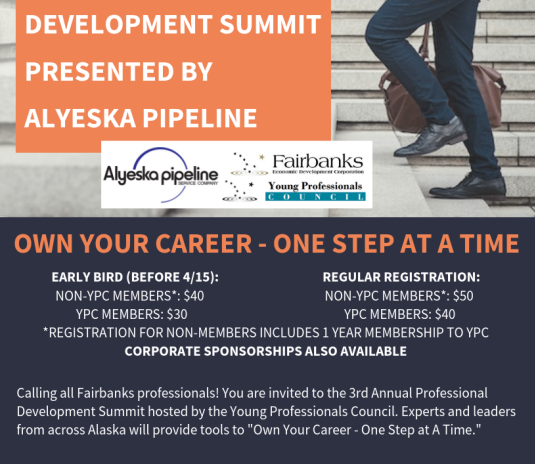 Experts and leaders from across Alaska will be discussing how you can "Own Your Career - One Step at a Time." *Registration for non-members includes 1 year membership to YPC. Corporate Sponsorships are also available. Please email ypcsummit@gmail.com for more information.